Looking for a DIY exfoliating sugar scrub for your dry skin? 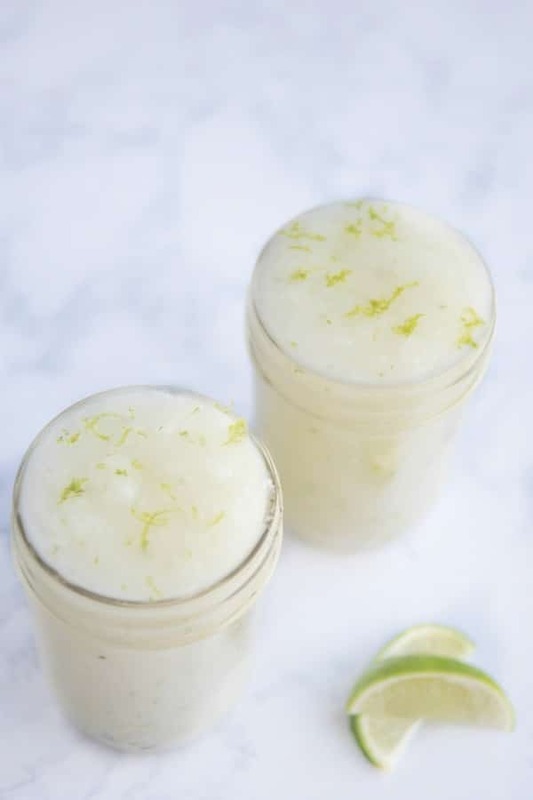 You’ll love how simple it is to make this easy coconut lime sugar scrub recipe. It comes together in minutes and will get your skin soft and glowing in no time! Today I’m bringing y’all another DIY sugar scrub recipe. The weather is getting warmer and it’s time to start getting ready for bearing your skin. There’s no reason to buy pricy sugar scrubs when you can make it yourself for a fraction of the cost. 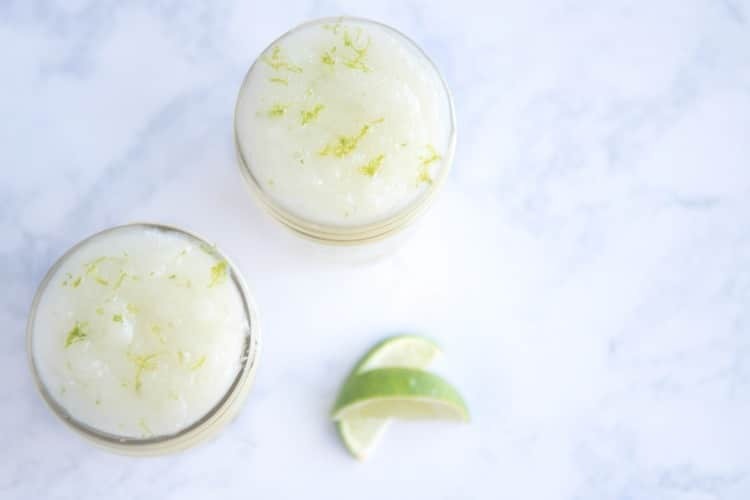 This easy coconut lime sugar scrub recipe is exactly what you’re looking for to exfoliate your skin and leaving it glowing. With just three ingredients that you likely already have, you can make your own sugar scrub. Plus, it smells amazing and is completely effective. What kind of sugar to use in a sugar scrub? You can use any kind of sugar in a sugar scrub. I prefer using white sugar in this recipe, but other times I opt for a brown sugar scrub. It’s all based on the ingredients and your tastes. Sugar scrubs aren’t just a thrifty and effective beauty recipe, they also make for a great homemade gift idea as well. Who dosn’t love a gift that’s practical and effective?! Making a homemade sugar scrub is so easy. This sugar scrub recipe is gentle enough you can use it every day! 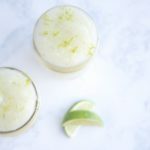 You’ll mix together the sugar, coconut oil, lime juice, and lime zest. Then just pop it into a canning jar and put it in the shower. Soft, smooth skin every day. Mix together sugar and coconut oil until soft and well combined. Add lime juice and zest or lime essential oil and stir. Place into widemouthed quart sized canning jar. You can finish off with twine or a homemade label. 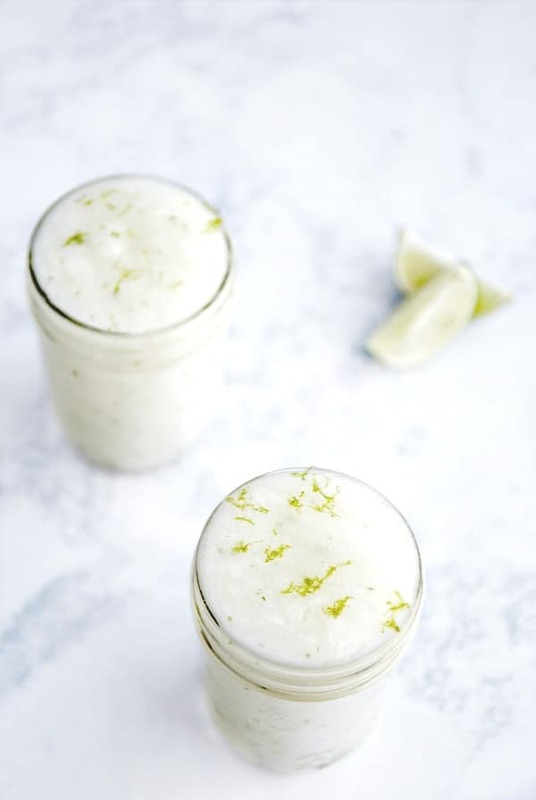 Try out this homemade lime sugar scrub recipe and let me know what you think about it on Facebook! 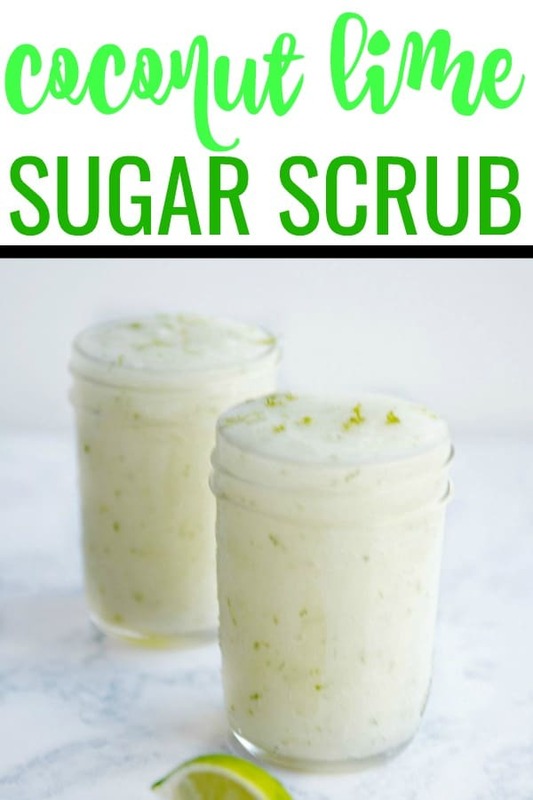 Don’t forget to pin this sugar scrub recipe for later!